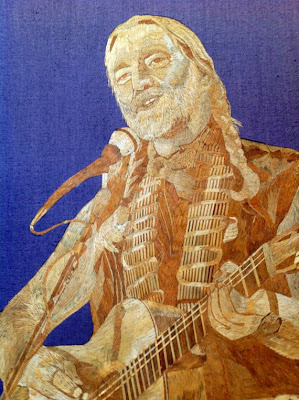 The artist of the pieces pictured above and below is Indian-born Rajan Koshy, who now lives in Galveston, Texas. Koshy estimates he is one of only 100 practicing rice straw artists left. He used to have a free museum in Galveston dedicated to the art, but now offers his work on Etsy at etsy.com/shop/museumshop. 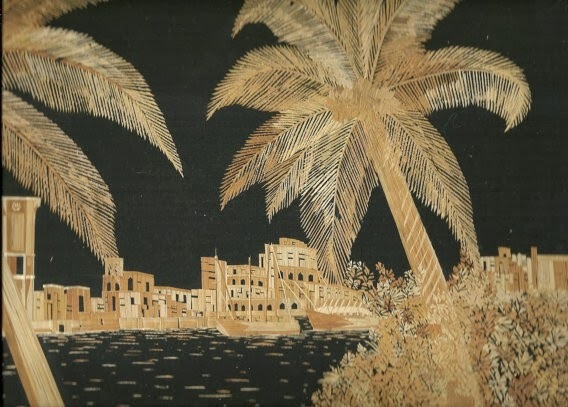 Rice straw art is an ancient art form which developed before our existing knowledge of color application became known. This leaf art form consists of using the natural colors of the rice plant to form a straw collage of unsurpassed beauty. No color, paint or dye is added to the natural color of the rice straw (dried leaves of the rice plant). This unique art is on the list of endangered art and only very few artists around the world practice this unique, ancient leaf art. He also gives the shorthand version of the creation process: "The leaf is opened up, flattened by a primitive tool, apply glue on one side (Gum Arabic as glue, which is sap from a tree, everything used in this art is natural, eco friendly art), applied in place and cut with a double edged razor blade." 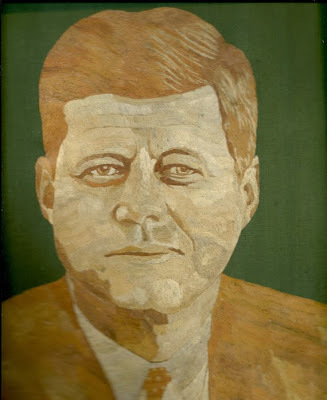 Some of Koshy's portraits depice historical figures - presidents, founders, entertainers. Some of them are odd choices - want a picture of Oprah? How about Geraldo? - but, hey, whatever floats your boat. 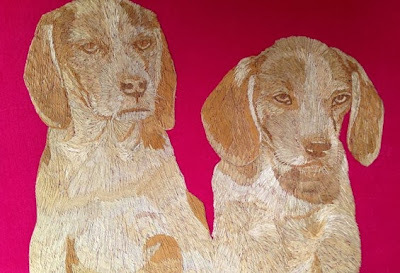 If you want to see more examples of rice straw art, check out Koshy's Etsy page. Why Does 'Looney Tunes' Love Manu Ginobili?